Bunkers of fine sand dazzle under the Georgia sun. The crystal-clear water sparkles. Even Augusta National Golf Club's fairways' rough edges would put most ordinary folks' gardens to shame. 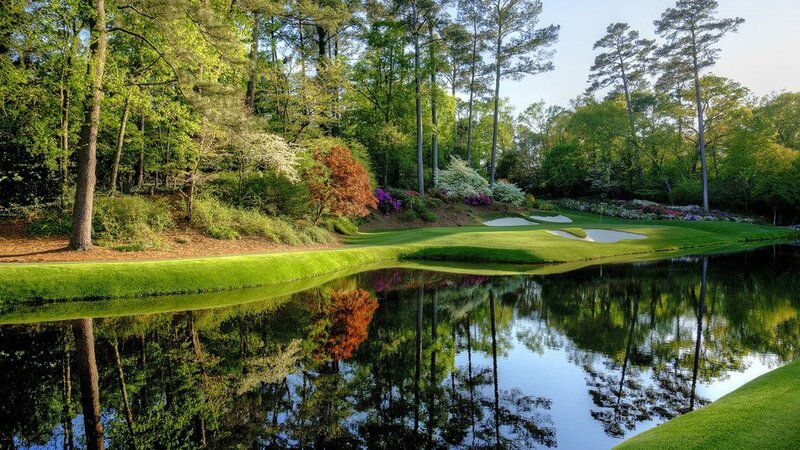 The clock is ticking down to this year's US Masters tournament, when the lovingly manicured Augusta course almost overshadows the golf and televised HD action leaves armchair players dreaming of putting on the smoothest of greens at one of the world's most beautiful courses. It is also when greenkeepers at Scotland's 550-plus golf courses brace themselves for the annual Augusta fallout from golfers demanding to know why their course isn't as perfectly polished. "It's the 'Augusta effect'," says Jonathan Smith, executive director of the Geo Foundation, which works with courses around the world to help them become more in tune in nature and more sustainable. "Golfers watch the Masters and think their local golf course should look like that. And that can put pressure on greenkeepers to meet these aspirations and increased demands." At Augusta, the green staff often stress how the former indigo plantation's smooth turf and the perfect blooms of the dogwoods and azaleas are largely thanks to good irrigation, perfect timing and Mother Nature. However, golf has been in a long battle with environmentalists who argue pesticides, fertilisers, heavy use of water and intensive landscaping means golf courses are no more than overworked "green deserts". With water resources under pressure from climate change and rising populations, along with mounting concern over the loss of bees, butterflies and other pollinators and the impact on food production, golf is having to strike the balance between raising its environmental score and meeting players' ever-rising expectations. 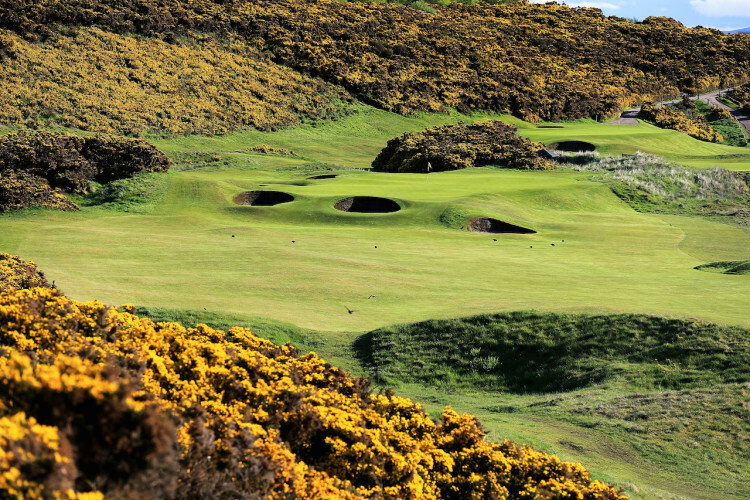 "Golf in Scotland is recognised as one of the most environmental and sustainable in the world," insists Smith, whose organisation offers a certification scheme and green flags for courses which meet environmental and sustainability targets. "One challenge is biodiversity and habitat, the use of water, fertilisers and pesticides. Another is achieving zero waste to landfill and avoiding or recycling waste." 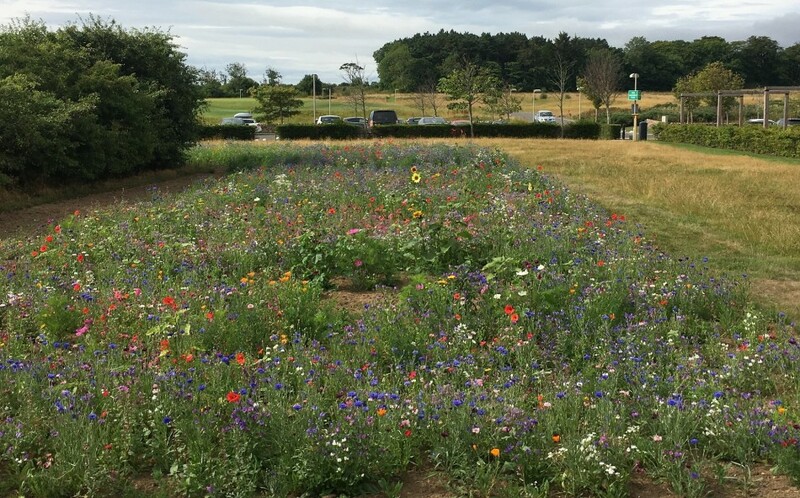 Last summer, a "bug hotel" for beetles, centipedes and spiders popped up near the seventh hole of the Old Course and at the Jubilee greenkeeping sheds. 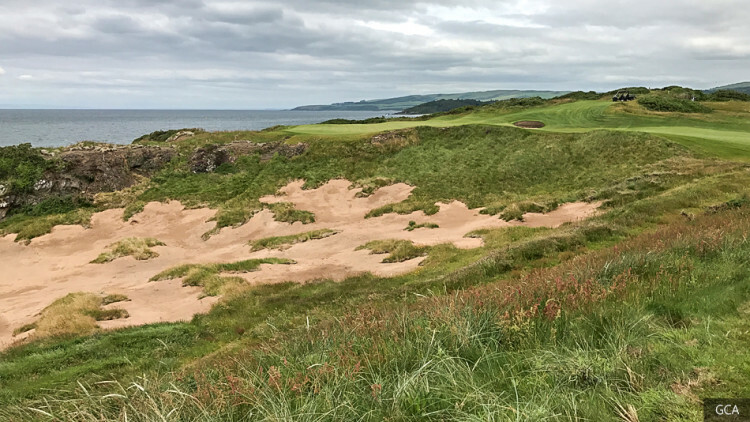 Golfers who had paid handsomely to play the Old Course even had to avoid the famous Hell Bunker when at least 20 sand martins moved in after struggling to find nesting space in the weed-clogged West Sands dunes. "Everything we do, we try to do it so we minimise any impact," says Jon Wood, course manager at the Castle Course. "We're not using as much pesticide or fertiliser, we're looking at best practices for waste management." Royal Dornoch Golf Club used spoil from old buildings as base material and recycled wood and timber for a new shed. Designed to absorb the heat of the sun, the building features self-sustainable LED lighting and solar-heated water, while electric vehicles have been introduced to the fleet. At Trump Turnberry's Ailsa course, old sleepers have been used to rebuild the Ayrshire Coastal Path, while at Dundonald Links in Troon, environmental work has encouraged small blue butterflies to return to the area. And in East Lothian, Gullane Golf Club's green waste is collected for compost, and wetland habitats created to increase biodiversity. At Fairmont St Andrews, head greenkeeper John Mitchell, has undertaken a beekeeping course and overseen the planting of a "bee lawn" the size of a football pitch in front of the hotel to attract more pollinators. "It helps make people more aware of what we're doing here because it's very visual," he says. 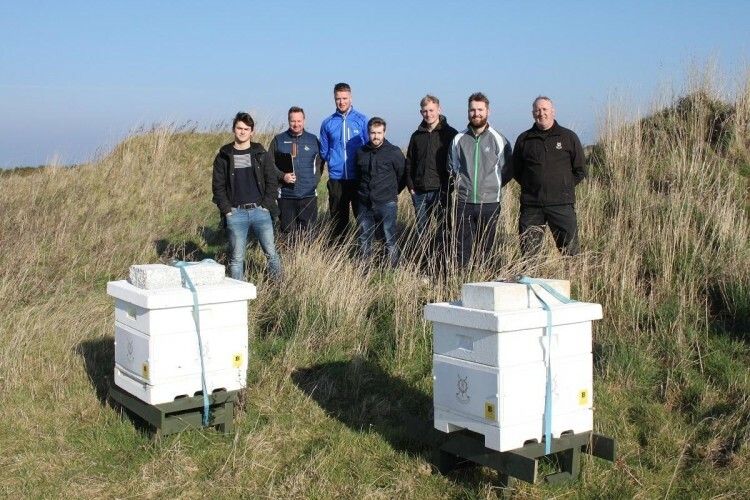 "Hopefully by the end of this year we will have our own honey." Caroline Hedley, Scottish Golf's environment manager, says the costs of coping with climate change-related issues such as drainage, drought and water charges are on greenkeepers' minds. "Greenkeepers are very keen and very attracted to more sustainable courses," she says. "That's from Open venues to even small clubs. They are being more sustainable, frugal and efficient." Golf management lecturer Ian Butcher teaches the next generation of greenkeepers at Scotland's Rural College's Elmwood campus in Fife, where students recently used the college's 18-hole golf course as a design template for a course of the future designed around ecological, environmental and sustainability issues. He says: "We need to make sure that students are aware of water management, wildlife and habitat management, as well as aspects that can enhance the location rather than manicure it. "Golf is in a process of evolution, not least in working with nature rather than against it. "There's a trend in golf industry to bring courses back to a more natural state," he adds. "The millennial generation want golf to be sustainable and environmentally friendly." A crucial element, he adds, involves managing the expectations of golfers weaned on television championship courses, and reminding them that a more "hands off" approach means they may share their round with diseased turf, occasional weeds and more wildlife. "Less or no pesticides means you will get some diseases," adds Butcher. "There needs to be a threshold of tolerance. It's natural and it's not going to affect the game. Even Augusta can't be in tournament condition all the time."